Your contribution helps us celebrate! April 19th: Today, we had a chance to make some new friends who newly experienced the great Cincinnati Children’s Cerebral Palsy Program. Today, Jason and his brother Ryan headed to Winton Woods with Pete to join the Walk With Knox. Knox is a very cute, energetic, and wonderfully enthusiastic young boy who was very recently diagnosed with CP. His parents and family were very appreciative of the attentive doctors and staff they met, so they quickly organized a fundraiser to help support this program that has also been so helpful to our family. 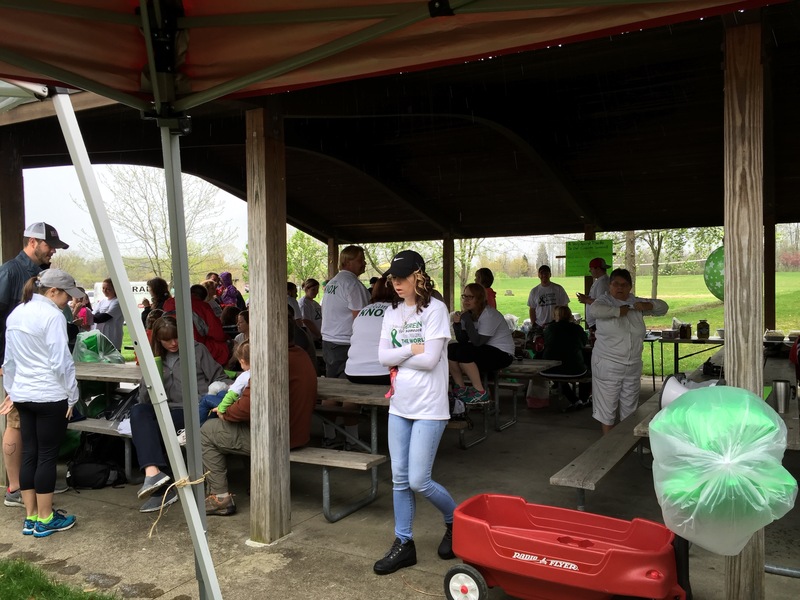 Parents Kelly and Brett, along with their large and extended families, put on the Walk With Knox fundraiser for the CP Program at a local park, which was a 5K walk for everyone who wanted to participate. 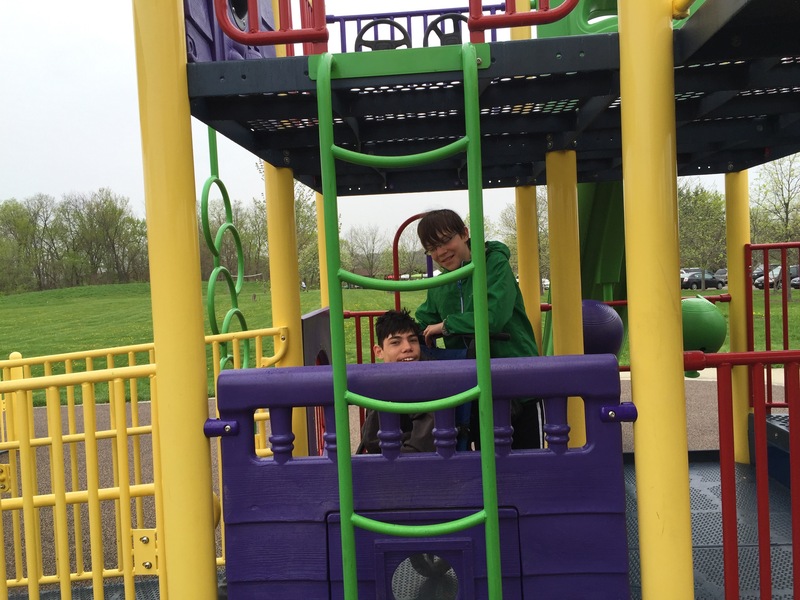 We got a chance to witness firsthand some of Knox’s great energy at the playground, where he showed everyone how to maneuver all the equipment–even showing Pete how to climb up the slide! His attitude was cheerfully infectious, even though the walk itself was pretty rainy. 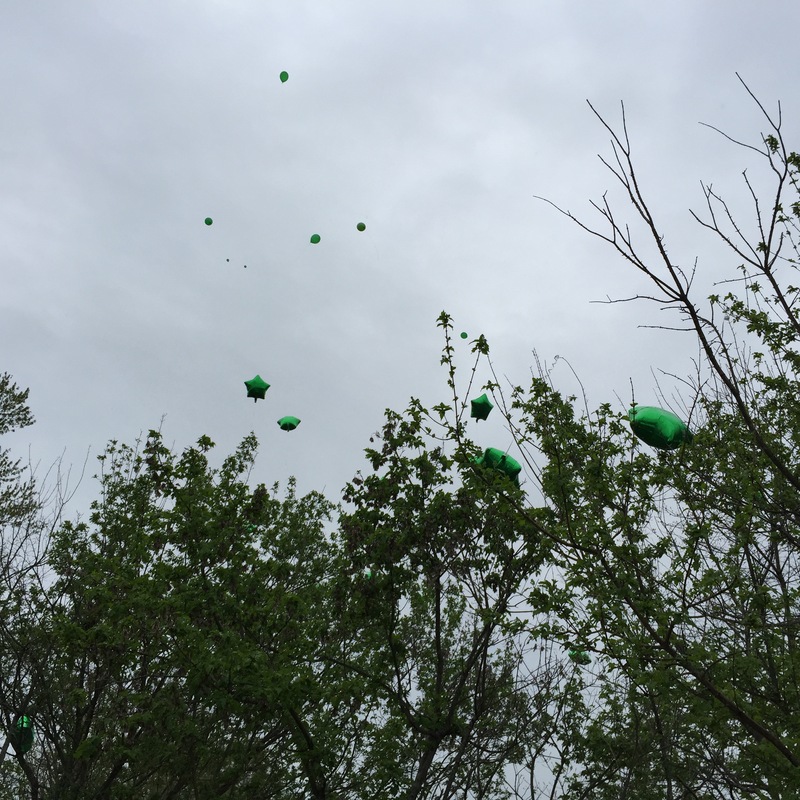 The walk started off with a release of many green and white balloons into the sky. Kelly and Brett spent lots of time talking with Jason and sharing their experiences with us. Their whole family was very welcoming, and we enjoyed lots of food before and after the event. 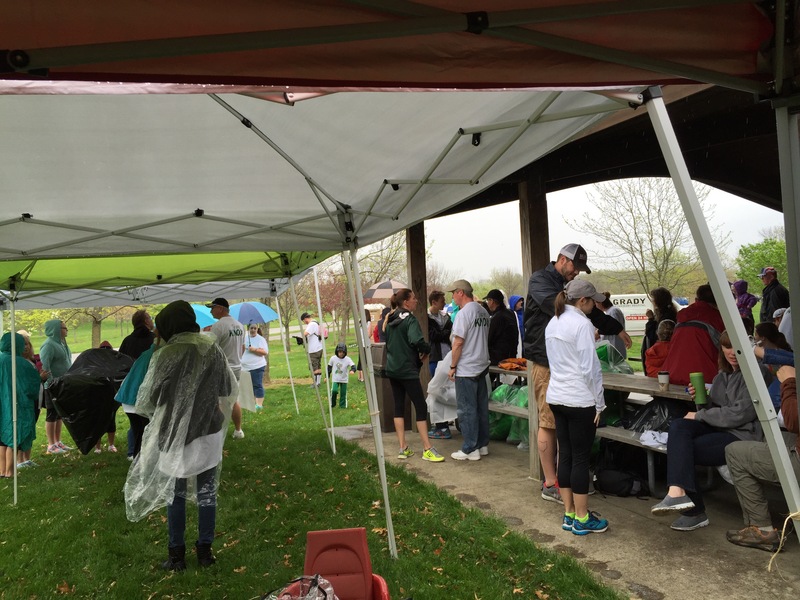 Even though this was set up without a lot of organization, it raised more than $5,000 for the Program! It was really heartwarming to see such an outpouring of gratitude for a great cause. Thanks for including us, Knox! Many more pictures can be found here.